Stars Foundation girls are completing Year 12 at significantly higher rates than other Indigenous students with data released in February showing a 96 per cent completion rate in 2017. 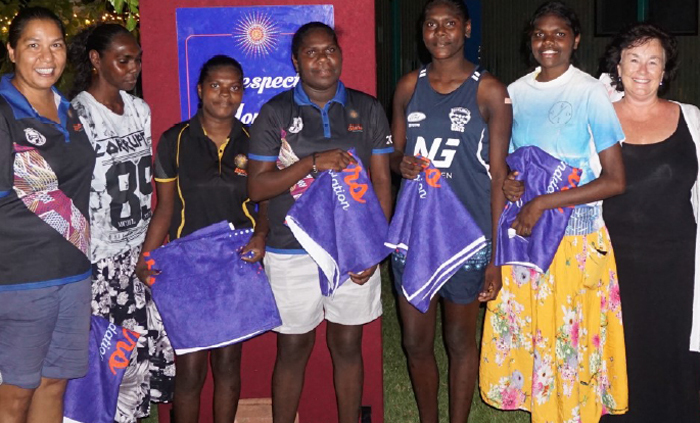 Tennant Creek Stars students said the secret to their success was determination and the support of those around them. “Stay focused in your last year and do the best you can,” Delaicee Hansen said. “Go to school every day and take the opportunities you can,” Meghan Munckton said. Stars Foundation Chief Executive Andrea Goddard said the program operates in eight locations across the Territory and is focused on providing a positive school environment and building individual capacity. “We know school attendance is critical in gaining core skills, such as literacy and numeracy,” she said. The Stars Foundation is one of two girl’s engagement programs supported under the Indigenous Education Strategy.